Take advantage of the creative power of mind maps in your team. With Zenkit, you can create mind maps, then use them immediately for your projects, tasks and subtasks – no need to convert or import anything. Whether you need a big-picture view of your entire project, or need a way to plan the smallest details of each task, Zenkit’s mind map display of projects, tasks, and subtasks makes it easy! 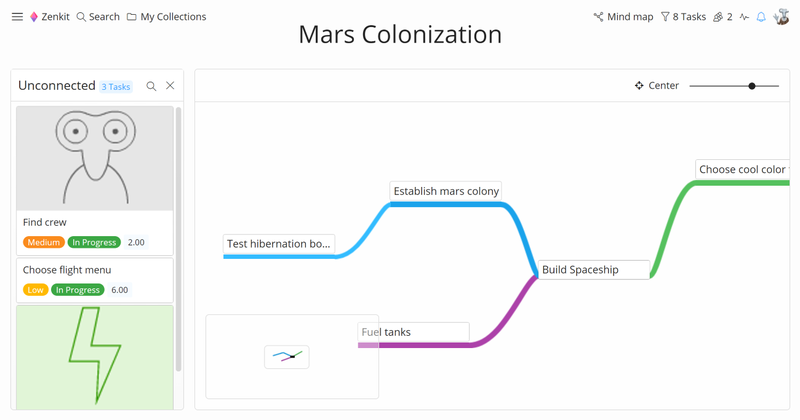 It’s easier than ever to work on mind maps with your team. Whether you’re working side by side or across the world from each other, you can work on mind maps together and see the changes in real time. Whether you’re a freelancer, a startup or a multinational enterprise, Zenkit’s mind maps can help you and your team brainstorm effectively, generate innovative new ideas, and plan strategically. Working in an educational setting? Use Zenkit mind maps to engage your class, plan out lessons, visualize complex problems, and engage with your students in group settings. 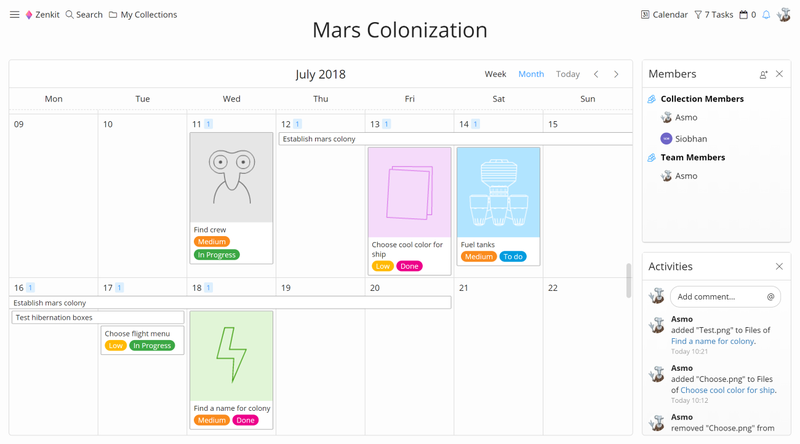 To keep track of upcoming deadlines, you can add a due date to the nodes of your mind map and view each of them in the calendar view. Simply switch back whenever you want to see your mind map again! Zenkit reminds you when the task or subtask is due, by email, push notification, or a reminder on your desktop. Files, comments, subtasks, and due dates: Add all the data necessary for your project to your mind maps, and access this data at any time. 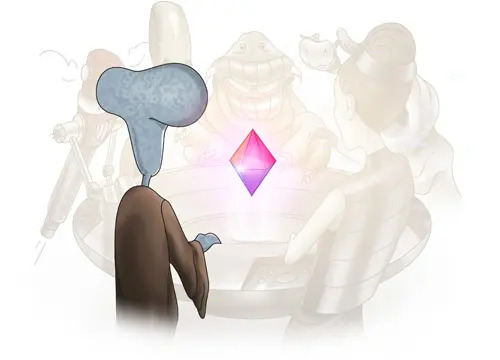 With Zenkit’s powerful filter functions, you can focus on tasks that need to be done today, or, by a particular team member, in just a couple of clicks. All this, without losing sight of the big picture. Have you ever started a project out with a great big mind map, full of ideas and inspiration, only to find that once you start work on your project, the map gets left out and forgotten? Never let that happen again. When you create a mind map in Zenkit, you can easily convert it into a Kanban board, calendar, table, or to-do list, without losing any of your mind map data. 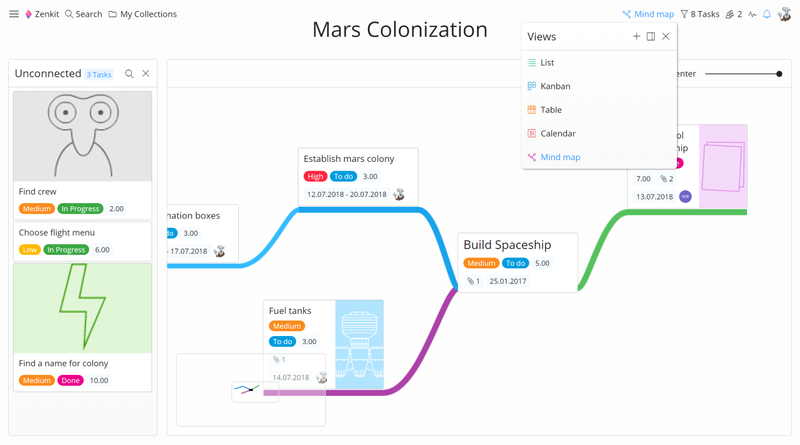 Now your mind map stays up-to-date during your projects: You can flesh out your project plan, build on it, make changes to it, collaborate on it, and connect it to other mind maps. When you need to get an overview of the entire project, switch back to your mind map in a click. One of the main advantages of mind maps is their ability to enhance creativity by letting your thoughts flow freely. Mind maps in Zenkit can help you outline your strategy, tasks, and subtasks, create stakeholder lists, set business goals and project milestones, and more. Use mind maps to plan and share a meeting agenda, take notes and minutes during meetings & brainstorm with your team. Capture new ideas, interesting observations & asides quickly in a mind map, then focus the meeting back on the main agenda. 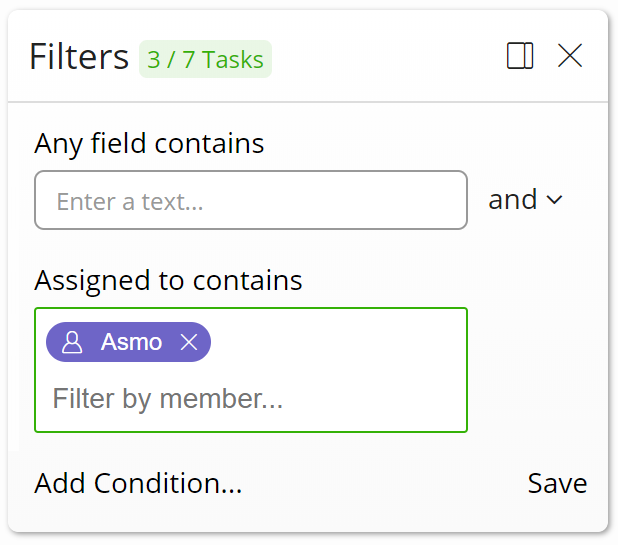 Easily assign actionable subtasks to your team members from the original map, without having to export it or lose the map structure.